Taj Hotels is encouraging group travel with their #WeTime campaign. Image Credit: Taj Hotels. Taj Hotels Resorts and Palaces is encouraging guests to make exciting memories with family and friends at its properties through playful narratives. 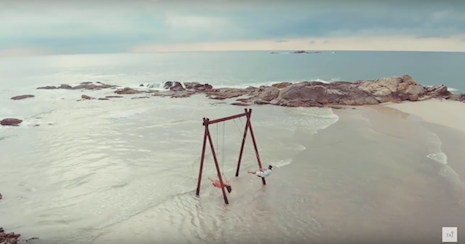 A new video campaign shows scenes from family vacations and girls’ trips, urging travelers to get away for some #WeTime — a play on the popular phrase “me time.” Instead of emphasizing its hotels’ services or amenities, the campaign focuses on experiences as a whole. Mr. Gollan is not affiliated with Taj Hotels but agreed to comment as an industry expert. Taj Hotels was reached for comment. Taj Hotels' #WeTime videos coincide with the chain's new promotion in which guests receive a complimentary third night after paying for the first two. In the first short film, a family of four is shown playing hide and seek. As the father closes his eyes and begins to count, the rest of the family finds hiding spots around the resort. The father secretly takes a glance at where his wife hides and follows her. They sneak off together, leaving their son and daughter in their hiding spots, confused. As the couple frolics in the ocean, their children search for them. When they find their parents, they are laughing on a swing set in the ocean waves. Taj's other #WeTime video focuses on a group of girlfriends. It opens to a young woman arriving at a Taj hotel. She meets her friends in their suite upstairs and they pop a bottle of Champagne in bed together. The friends go on a boat trip and enjoy the ocean. They take photos and videos together, capturing their new memories. After that, the women enjoy a meal at a Taj restaurant before going out for drinks and dancing. The group is all dressed in red, with the exception of one woman in white. At the bar, another guest asks the woman in white if she is a bachelorette. She laughs and says she is celebrating her divorce, before rejoining her girlfriends for more pictures. 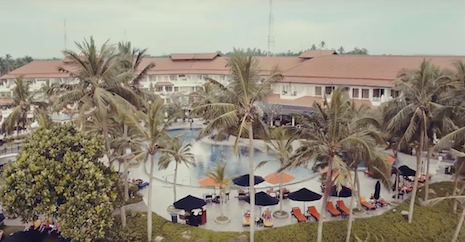 The twist ending makes the campaign video especially memorable, as well as relatable for guests who may have experienced similar trips. Taj Hotels’ #WeTime campaign breaks the mold from its previous advertising strategies. The hotel chain, despite having locations around the world, considers Indian culture a pillar of its aesthetic and desired customer experience. This love for its heritage has infused into Taj Hotels’ marketing, as evidenced by a short film the company released inspired by the elaborate musical numbers of Bollywood films. The video, titled “Many Goas, One Taj” was set in and around various Taj Hotel locations and featured the staff of the hotels singing a jovial song about being able to fulfill any request that a customer may have (see story). Similarly, last August, Taj commemorated India’s 70th year of independence by recreating the menu served at the original celebration it held in 1947. The special menu along with Indian tricolor illumination was present throughout a variety of Taj hotels for the month (see story). Instead of focusing on its Indian heritage — a selling point for international guests — the brand's newest campaign focuses on experiences. "These videos seem more targeted to the Indian domestic traveler than the international luxury traveler," Mr. Gollan said. "These seem more generic and aimed at an Indian audience compared to their traditional advertising where they deliver an Indian-style hospitality."